The Debilly footbridge was built for the 1900 World’s Fair. Like the Eiffel Tower, the footbridge wasn’t meant to stay … but it did eventually and all tourists, and locals, love it. 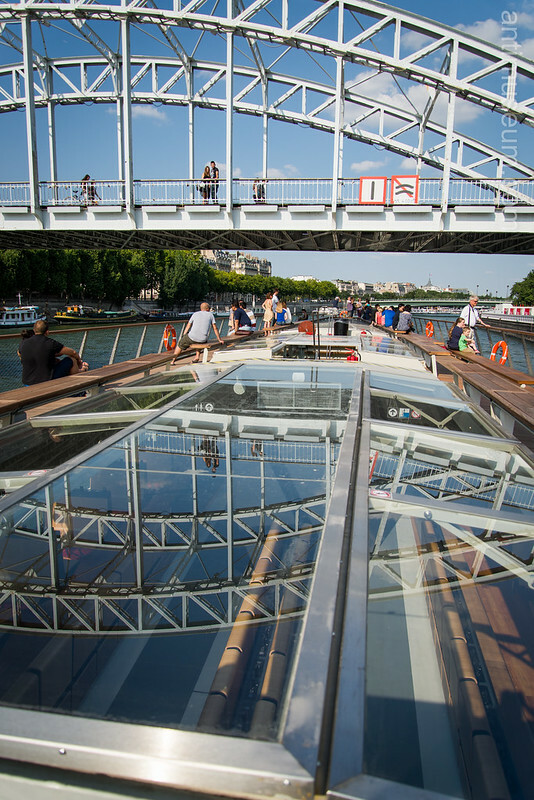 I captured the reflection of the bridge in the glass roof of the boat while passing underneath. This is a reflex shot because the boat was moving very fast, yet I wasn’t too unhappy with the composition so I kept it. July 2013.